Black Bolt’s history with the Inhumans is rather tragic. Though he is – or rather was – their King, his powerful voice led to the death of his parents and the insanity of his brother Maximus. 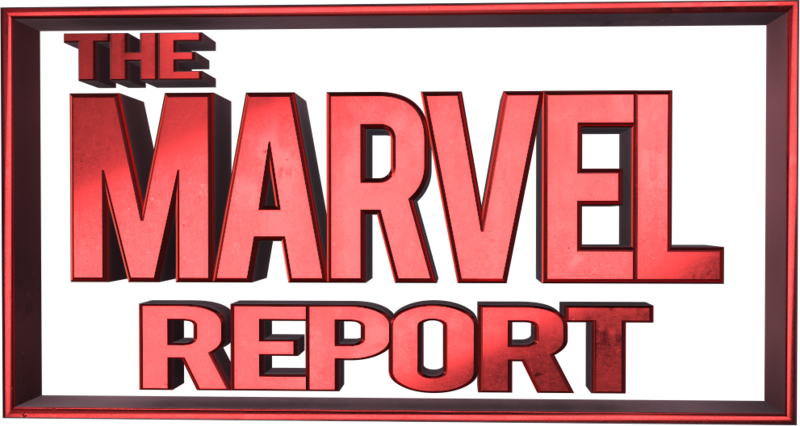 More recently, he set off a bomb in Attilan to save the Inhuman city from the Mad Titan Thanos – which wound up creating new Inhumans all over the world. Since abdicating his throne and traveling in search of redemption, he now finds himself in prison. But how? 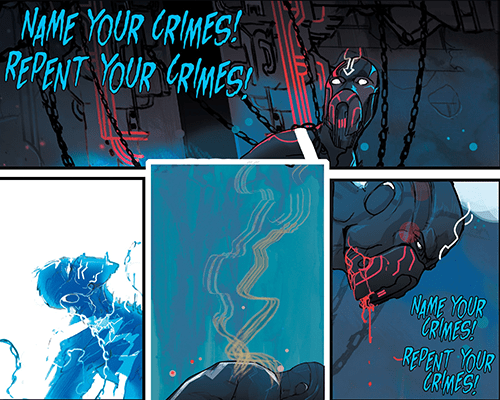 Plot: Black Bolt #1 opens with the former king in chains, surrounded by darkness. After bouts of silence, a terrible voice sporadically pierces through to demand that he repent his crimes. But Black Bolt has no crimes to speak of – not that he could speak with the muzzle on – and soon he recalls the origin of his imprisonment. His wife Medusa and he planned to send Maximus to the Royal Family’s secret prison, but somehow it seems he and his brother switched places. After breaking free of his chains, he is able to wander the prison but not to remove his muzzle. His powers don’t seem to work either, a fact the Amazing Absorbing Man confirms during their confrontation. In this prison, he is merely Crusher and appears to be part of a fight ring controlled by the jailer. Story: The first issue is very clearly set up as a mystery, and Saladin Ahmed makes the most of his visual storytelling talents in Black Bolt #1. The king does not speak, of course, but the narration lays out the necessary clues at first and the panels back them up both with fleeting memories to fill in the gaps and current surroundings that cement the atmosphere. 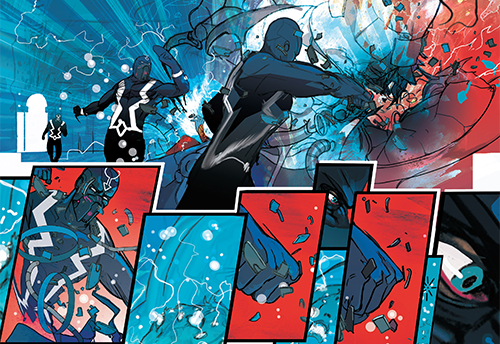 Once Black Bolt runs into another living creature, the pace picks up considerably. It might feel like an abrupt shift in the hands of a lesser writer, but Ahmed constructs the story carefully enough to make the change natural. The Inhuman King hears a scream of distress and suddenly is in hero mode, just as one would expect. He no longer has the luxury of working out the metaphorical Rubik’s Cube in his own time, and now has to keep pace with outside forces. Art: In a story as silent as Black Bolt #1, the visual style is incredibly important – and Christian Ward certainly steps up to the task. 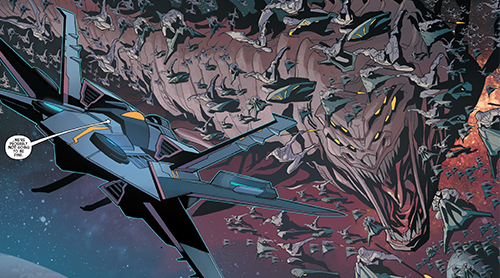 As the majority of the issue focuses on the King’s state of mind and isolation, Ward only gets a few chances to explore the more off-the-wall aspects that his art is known for. But he skillfully uses the chances he does get, lighting up the fight sequences with spurts of red and making Black Bolt’s punches feel as vibrant as possible. The sense of spatial awareness in the story is also impressive. 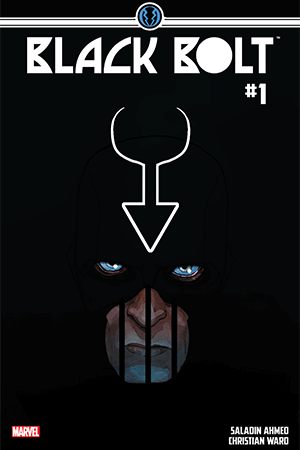 When the reader is following Black Bolt’s lonely walk through the prison, the walls are dark and confining. Yet as soon as he encounters a mission and other people, the prison opens and brightens up… Leading to the final shot of the prison itself in the vast and overpowering expanse of outer space. Verdict: Black Bolt #1 sets up a straightforward yet intriguing mystery that connects back to the larger story of the Inhumans while also deepening the understanding of his character. While you don’t need to read this series if you’re following Royals, it is both an enjoyable addition and a captivating tale in its own right.